Friendly, professional and attentive staff. Dr. Christopher Stroud was very warm, knowledgeable and reassuring in hisbedside manner. First visit won’t be my last. Friendly, professional and attentive staff. Dr. Christopher Stroud was very warm, knowledgeable and reassuring in his bedside manner. First visit won’t be my last. Dr. Stroud made me feel very comfortable and came up with a plan to address all of my issues. He spenta lot of time with me and went over any questions I had. I highly recommend him! Dr. Stroud made me feel very comfortable and came up with a plan to address all of my issues. He spent a lot of time with me and went over anyquestions I had. I highly recommend him! 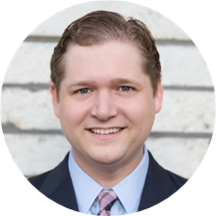 Dr. Christopher Stroud is a board-certified dermatologist who specializes in developing personalized treatment plans, together with patients, to maintain and restore the skin’s overall health. He is an expert in detecting, treating and preventing skin cancer, psoriasis, acne, rosacea, and atopic dermatitis. His expertise in medical, surgical, and cosmetic dermatology enables him to employ a variety of techniques to help his patients achieve beautiful, healthy skin. Dr. Stroud earned his Doctorate of Medicine from The University of Texas, Houston Medical School and his Bachelor of Science in Chemistry from The University of Texas, Austin. He performed his internship at Houston Methodist Hospital and his dermatology residency at Baylor College of Medicine, Houston where he served as Chief Resident at the VA Medical Center and county hospital system. He is a member of the prestigious Alpha Omega Alpha Medical Honors Society and is affiliated with the American Academy of Dermatology, Texas Dermatological Society, and Texas Medical Association. Dr. Stroud has published numerous articles in peer reviewed journals and lectured at top academic institutions across Texas. In his free time, Dr. Stroud enjoys cooking, watching sports, traveling, and spending time with his family. He did a good job and knew what I had and how to treat it. Dr. Stroud is very knowledgeable and attentive. We never feel rushed when speaking with him, and there’s very little weight time in the office. His staff is very friendly and helpful. Dr. Stroud was wonderful and very thorough. His staff was great as well! Highly recommend. Very informative and knowledgeable. Great bedside manner. I think he was genuinely interested in our issue and helping us find the right solution. 5 ?? I was greeted quickly upon my visit and most of my papers were filled out, thanks to ZocDoc.com. I was 10 minutes early for my appointment but they served me right away. Doctor Stroud and Regina were very professional and courteous. I was very pleased he was able to take care of everything in one appointment and he considered the costs of alternative treatments and discussed them beforehand. Very satisfied with the care and service today!!! My first time and definitely will come back. Thanks for all the help!! Dr. Stroud has been my dermatologist for a few months now and has been incredible in helping me manage my eczema. He’s very personable and I highly recommend him to anyone looking for a dermatologist. Dr. Stroud was very attentive to my concerns and was very thorough in the exam. I felt comfortable with him and will return in the future. Found him to be clear, professional, friendly, helpful and knowledgeable. Definitely would recommend him for any dermatology needs. I had a facial cyst that was hurting real bad and I was able to get an apt right away. My first time meeting Dr Stroud and he was very kind. Gave me different treatment options which was great, I feltwas a great collaboration of care, he actually listened to me. His nurse was great too. I will Definitely be going back there. Dr. Stroud is very personable and spend a lot of time explaining things. Dr. Stroud spent a good amount of time discussing my concerns. He has a great bed side manner. He was personable and professional. I haven't been to a doctor in years, and I was a little nervous about the issue I went in for, but Dr Stroud put my concerns at ease very quickly. He answered all of my questions, and took care ofeverything I needed. I'll definitely be back if I need anything again. Great bedside manner. Very informative. No complaints at all and would highly recommend. Thanks! The doctor was good.He was patient and addressed all my concerns.However his assistant was rude and had bad attitude.I would not go back again.